Baldwin admitted being held to one catch Sunday was frustrating but also knows he's going to have to adjust to a team that wants to run the ball more than ever. 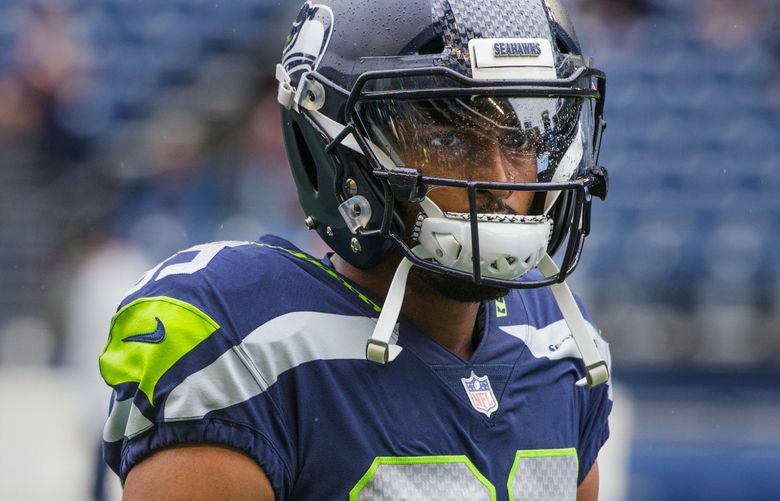 Maybe Doug Baldwin isn’t 100 percent — few NFL players really are once the season truly kicks into gear. But Tuesday, both Baldwin and Seahawks coach Pete Carroll said it wasn’t health that limited the Seattle receiver to just one catch against the Rams in a 33-31 Los Angeles victory Sunday at CenturyLink Field. Instead, it was simply one of those things, Carroll said. One of those things accentuated by the team’s increasing ability and desire to run the ball. Baldwin, in fact, not only had just one catch for one yard, but also just one target — it was only the second time since 2013 he had just one catch in a game in which he played the entire way. The game was also Baldwin’s second since returning from a sprained right MCL suffered in the opener against Denver (a game in which he was taken out in the second quarter without making a catch). Baldwin also sat out the preseason to rest his sore left knee. And as Carroll quickly pointed out, there were only so many balls to go around Sunday. Seattle attempted just 21 passes, a season low and tied for the fewest since the 2014 season (Seattle also had just 21 attempts in a win at Dallas late last season). Seattle also had just 55 plays, tying a season low, due in part to an explosive offense that scored at times quickly. But the pass attempts of late have also gone down as the rushing attempts have gone up. Seattle has attempted 39, 34 and 32 rushes the last three weeks in rushing for 113, 171 and 190 yards, while attempting 26, 26 and 21 passes. That pass-to-run ratio of 42.93 percent (meaning Seattle is running it roughly 57 percent of the time) is by far the lowest in the NFL over the last three weeks — the only other team passing it less than 53 percent of its plays is Buffalo at 46.99. Baldwin hopes to be able to get more involved in the future, beginning Sunday against the Raiders in London. But he’s also aware that the team’s recommitment to the run means he may have to get used to getting fewer chances. And Tuesday, he candidly admitted it may not be an easy adjustment — Seattle threw it 59 percent of the time last season, the highest of Baldwin’s Seattle career. Baldwin had appeared frustrated in an interview following the game, and he alluded to that in an answer Tuesday. Asked if it’d be time to retire if he was ever happy not getting many targets, Baldwin agreed. That isn’t happening anytime soon, though, and Baldwin will undoubtedly again be a bigger part of the offense. Still, the numbers for a player who is already on the short list of the best receivers in team history are sobering. He has just six receptions on nine targets for 42 yards this season in what is essentially two-and-half games — which would have been about one half of a game’s worth on more than a few Sunday afternoons the last few years. Baldwin needs 23 receptions to pass John L. Williams for third on Seattle’s all-time receptions list with 472 and 459 yards to pass Williams for third in career yards with 6,446, numbers that once seemed like slam dunks to occur at mid-season.